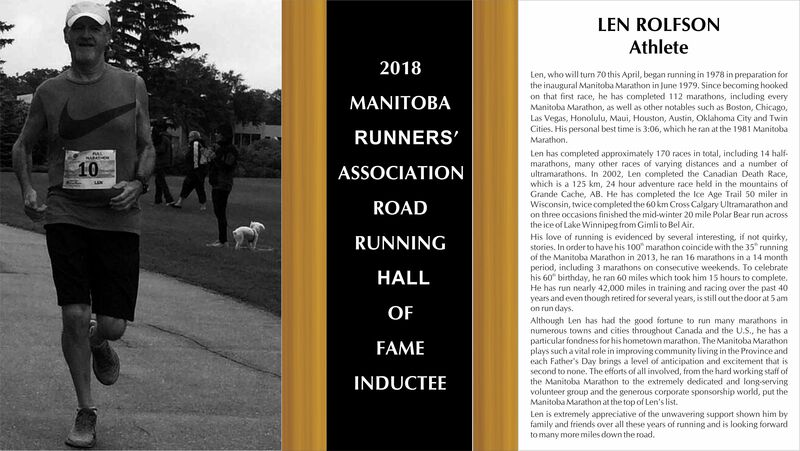 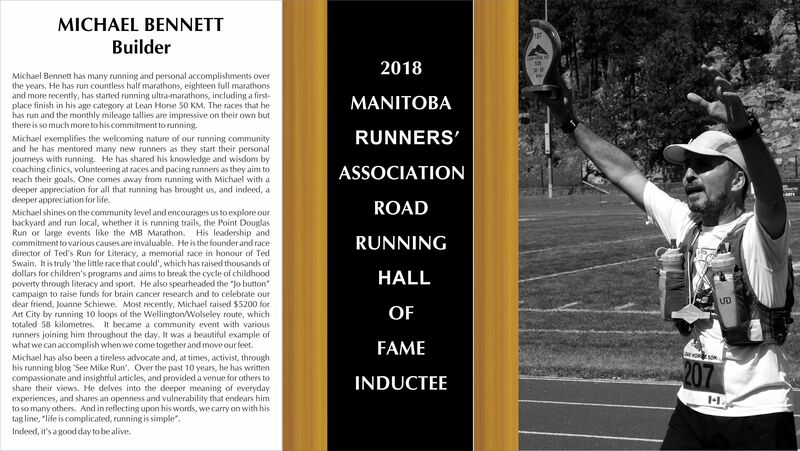 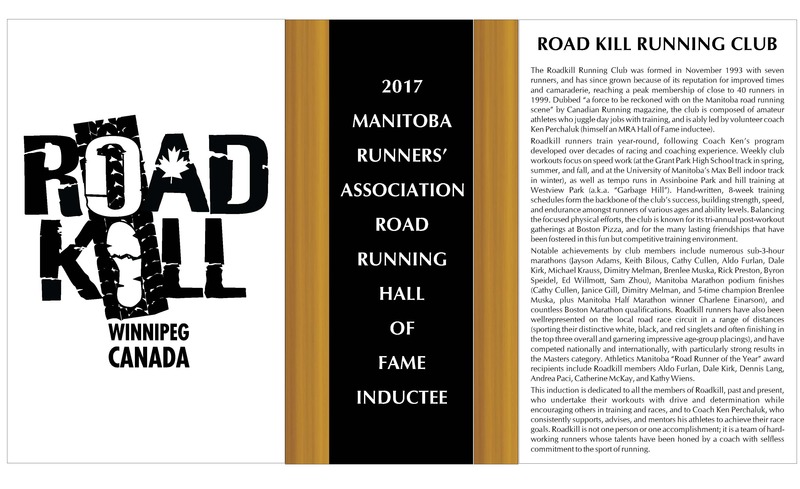 In 2006, the Manitoba Runners’ Association celebrated its 35th Anniversary by establishing the MRA Road Running Hall of Fame. 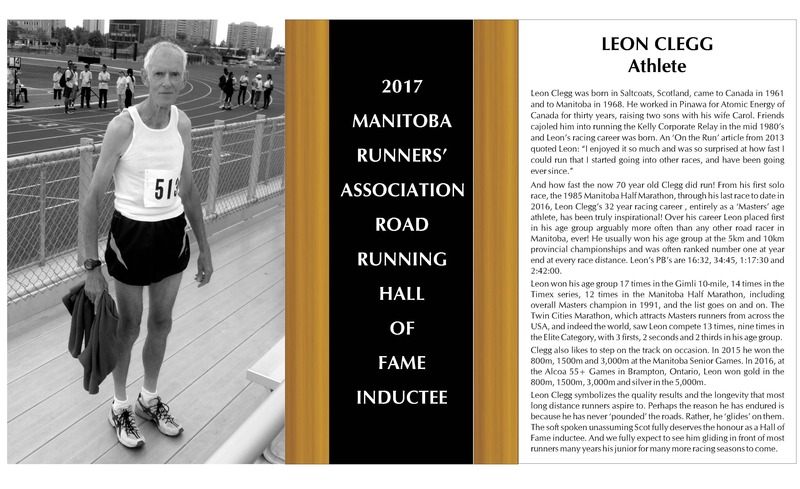 Each year, inductees are celebrated at the MRA Annual Hall of Fame Banquet. 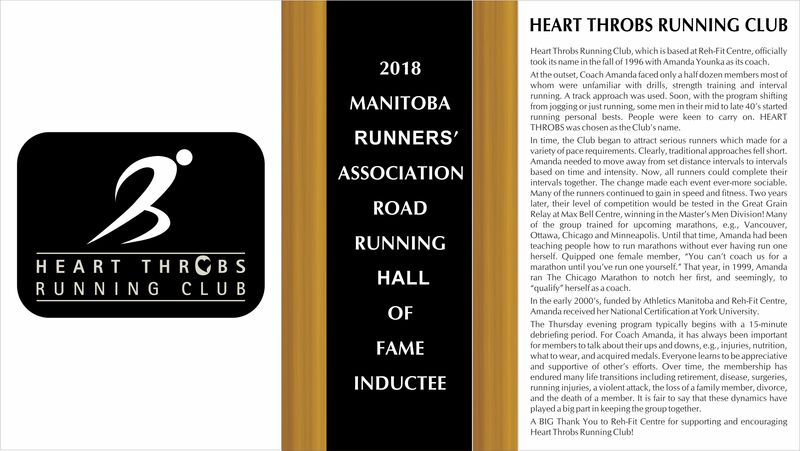 The next time you are downtown, visit the 2nd floor of the Winnipeg Convention Centre to view the MRA Hall of Fame plaque and celebrate the athletes, volunteers and running clubs who have raised the profile of road running in Manitoba . 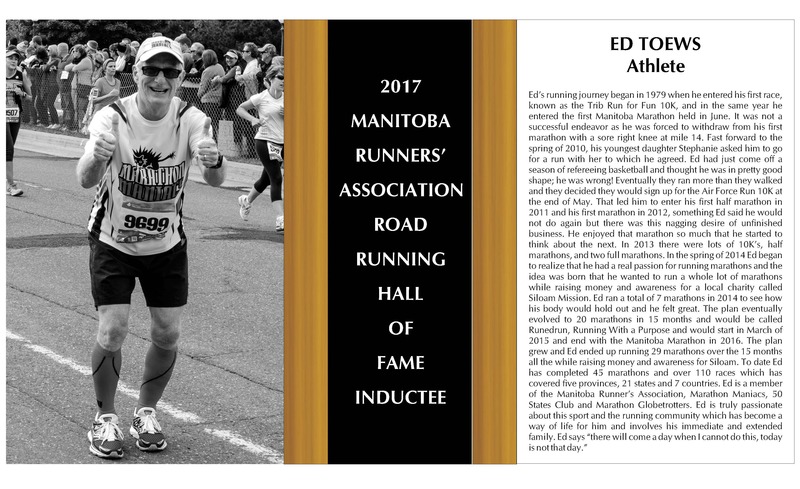 To view a picture of each Inductee’s plaque click on the name.